The Air Handling Unit (AHU 16) was originally installed to provide airflow to the Oncology area of the hospital. Over the years, additional ducts were incorporated and now AHU 16 provides airflow to five areas of the hospital. Looking for an alternative option to replacing its costly motor, the University of Louisville Hospital’s Director of Engineering asked AAF Flanders to assess the hospital’s current filtration system and recommend a viable solution for AHU 16. The current 3-stage filtration system consisted of AmerSeal® Cube prefilters, VariCel® II secondary filters and AstroCel® I high capacity HEPA final filters. AAF representatives saw this as an opportunity to remove a stage of filtration to evaluate if there would be improved airflow and reduced energy consumption. 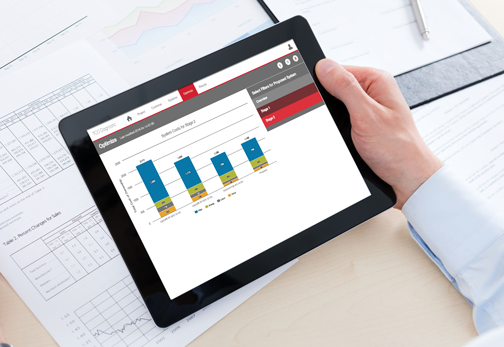 A Total Cost of Ownership (TCO) analysis was generated to illustrate the potential energy saving benefits, based on moving to a 2-stage filtration system with the parameters provided by the University of Louisville Hospital. AAF’s exclusive TCO programme takes into account: cost of electricity (kWh), labour rates, cost of filters, air volume, operating hours, operating resistance, and disposal cost. The AmerSeal Cube filters were removed from the system, eliminating the prefilter stage. VariCel II filters were replaced with VariCel® VXL filters, AAF Flanders’ 8-panel high efficiency filters designed for use in difficult operating conditions. 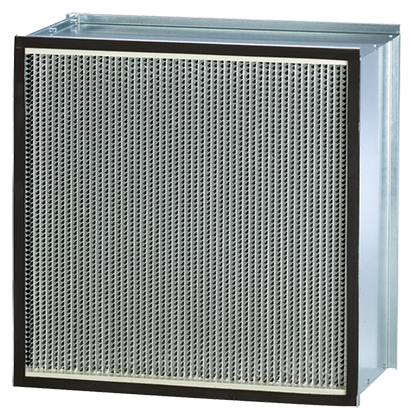 The high capacity AstroCel I HEPA filters were upgraded to MEGAcel® I HEPA filters with ePTFE Filtration Technology, providing high efficiency and low energy consumption. University of Louisville Hospital then allowed AAF Flanders to monitor the changes in pressure drop across the filter section over the next 12 months. AAF Flanders' TCO analysis evaluated the original 3-stage filtration system configuration, as well as a proposed 2-stage system. The hospital’s Director of Engineering agreed to trial the proposed system and record the pressure drop of the filters each month to monitor changes. The results from the hospital’s readings consistently verified the reduced resistance of the MEGAcel I filters and the VariCel VXL filters. With the reduced resistance came an increase in airflow across the system, ultimately eliminating the need for a costly upgrade to the motor. “After our 12 month study, the filters have proven to be efficient and cost effective,” said John Gildehaus, CHFM, Director of Engineering for the hospital. 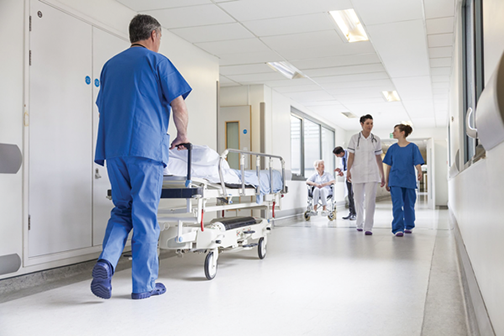 With AAF Flanders solutions, University of Louisville Hospital increased airflow, decreased energy consumption, and realised labour savings from the reduction in filter changeouts, providing them with overall savings. The original system configuration had an annual cost of $16,730. The new configuration produced an annual cost of $9,277. The result was an annual savings of $7,259! Manufactured with high performance ePTFE membrane media and unique tapered aluminium separators, MEGAcel I filters optimise efficiency, strength, and integrity while keeping operating costs to a minimum.